Birmingham, MI – What an amazing day it was to drive by Hunter House and find it not to be packed with hungry customers! 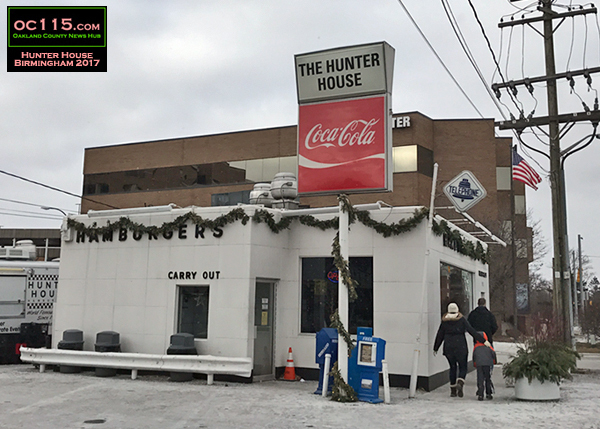 Hunter House is a little slider joint on Woodward Avenue near Maple, with a mid-century-modern white pillbox building, a busy counter with stools affixed to the honeycomb-tiled floor and a walk-up window for folks like me who want to get their burgers to go. From there guests get a front row seat for the grilling action. Two double cheeseburgers, onion rings and a vanilla shake. Can’t get much more classic than that. Hunter House opened in 1952 and is the oldest continuously-running restaurant in Birmingham. 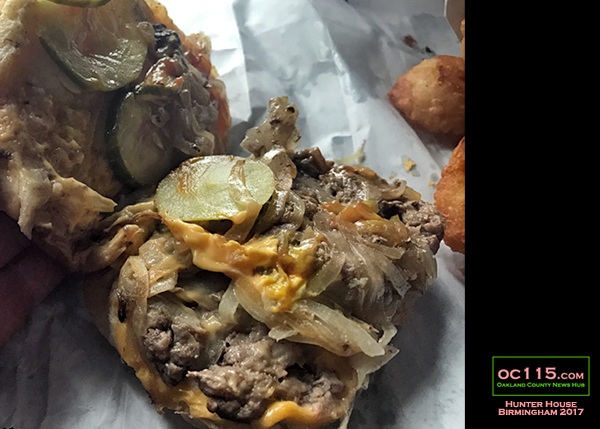 The meat, the buns and the pickles all come from Michigan, and the quality shows with a burger that consistently wins awards both locally and nationally. The timeless recipe calls for ground beef patties grilled with the onions and buns that soften with the steam as the burger cooks. Ketchup, mustard and pickles make the sliders complete. 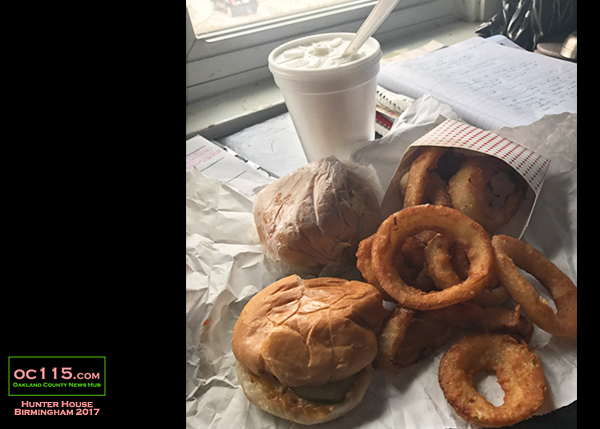 The onion rings are also very tasty, crispy and sweet. 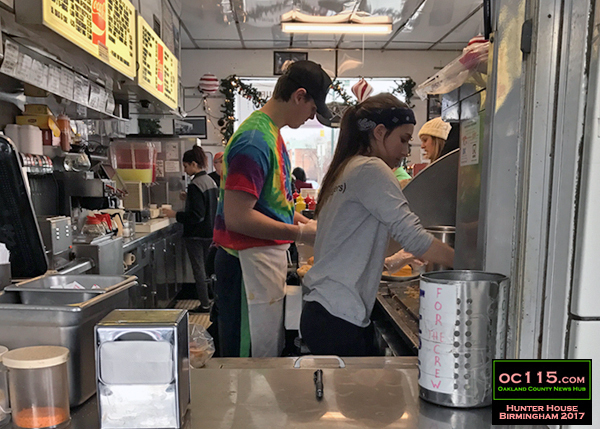 Other menu items include chili fries and hot dogs. For more Reporter Food columns check out http://oaklandcounty115.com/category/food-blogs/.